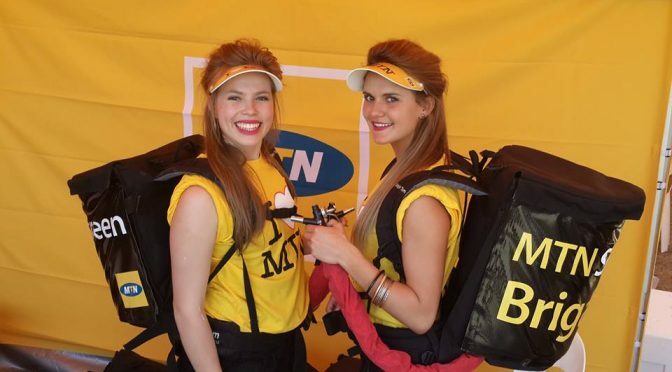 The core business of MAJORTOM is mobile beverage distribution through the use of backpacks. We focus on beverage backpack rentals. It is because of this unique offering that we are able to allow the client to distribute beverages to any audience, anywhere, without having to use a static bar facility. We can distribute almost any beverage whether hot or cold, carbonated or not. If it can be poured we can distribute it! MAJORTOM prides itself on being a unique brand offering and having a totally different approach to sales and marketing. MAJORTOM alleviates congestion in bar areas, as well as increasing beverage sales and service delivery for event organisers. It also allows for maximum brand exposure as the backpacks are able to be branded and customised. In addition to this we can provide various other marketing and promotional tools. Drop us an email to see how we can work together! We are based in Johannesburg, South Africa however we are able to rent our beverage dispensing backpacks anywhere in South Africa and a selection of African countries. If it can be poured…we can distribute it! We can help you make your next activation or event the best it can possibly be! Read more under our events and activations page.